Sadly, too many firms believe, or are led to believe that the way to build a brand is through advertising or, more specifically a series of advertising campaigns that are ever more creative, cutting edge, out of the box, off the wall or any other cool catch phrase your agency cares to throw at you. If the budget is large enough, and it seems too many companies have too much money to play with and no accountability as to how it is spent, then the best thing the agency can do is buy lots of expensive TV air time, ‘wraparounds’ for publications, preferably daily newspapers because lots of people read them so the eyeballs will be high, above the fold pop ups on websites and lots of other expensive high profile spots. Of course no advertising campaign would be complete without a couple of high profile billboards in high traffic areas to create awareness of the product with as many people as possible, irrespective of who they are and whether they are interested in or can afford the product. Volvo is the latest automotive brand to launch yet another new car with a creative campaign across at least print and digital media. This latest campaign expects us to believe that a Volvo is hiding a beast inside. 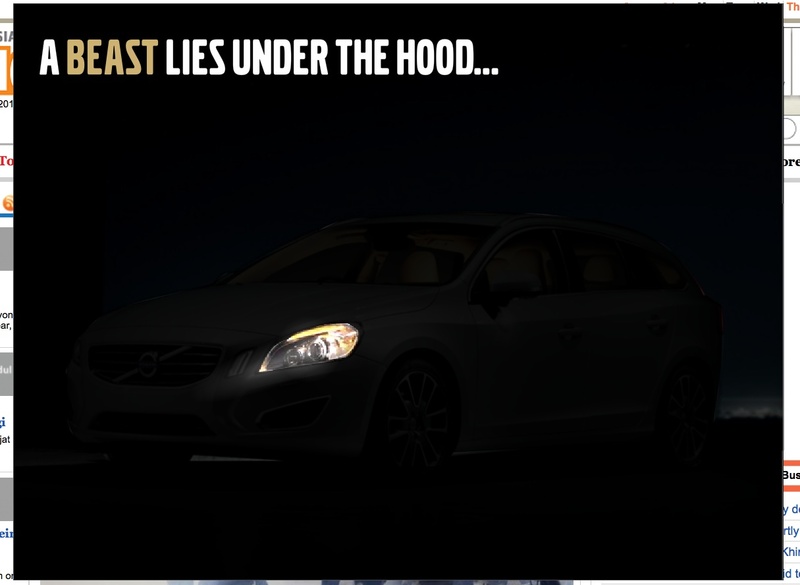 Are we really going to believe there is a beast inside a Volvo? This is no longer safe, now it is wicked. Or maybe it is safe and wicked! The above the fold digital campaign is being used to launch the new V60, T4 and T5 range and features intrusive hover or pop out ads on The Malaysian Insider and possibly other news sites. Interestingly, once the Volvo ad on The Malaysian Insider closes, there is an expandable ad for BMW beneath it! In 2011, Volvo launched a new version of the S60. This time they encouraged us to “get naughty with it.” The ad claimed there are ‘naughty cars everywhere’ and that ‘naughty cars go everywhere’. The box ad features the price of the car and two links to either get naughty with the car or test drive it. You can read more about this campaign in my post of last year which is here. The fact of the matter is that these campaigns are not working. In 1999 Volvo sold 642 cars in Malaysia. In 2009 Volvo sold 550 cars. In the same year, Peugeot sold 1,258, VW 885, Mazda 1,444, BMW 3,564 and just to put things into perspective, Toyota sold 81,784 in the same period. In 2010 Volvo sales increased to 839 but this was below the target of 1,100 set by the CEO. And in the same period, VW sold almost 4 times as many cars (2,810) as the year before. Mazda increased sales from 1,444 in 2009 to an impressive 4,325 in 2010. Even Peugeot increased sales from 1,258 in 2009 to 2,562 in 2010. Mazda and Peugeot do very little advertising in Malaysia. So these creative new campaigns are obviously not working. So what should Volvo do? 2)	Create content that will resonate with your consumers. Better still, get consumers to generate the content. 4)	Integrate all activities across all platforms don’t just launch ad hoc tactical campaigns and hope they work. They aren’t. 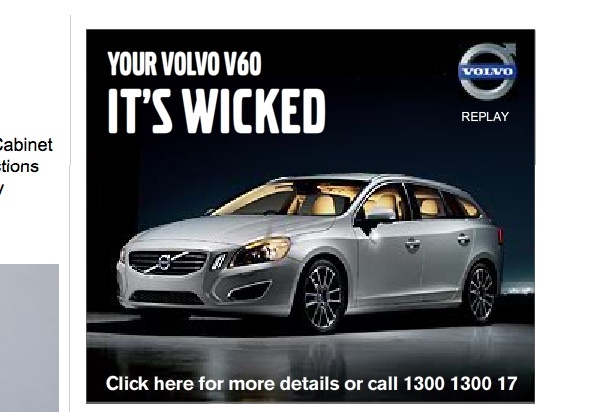 6) Volvos are safe, they can’t be safe and wicked. We like the fact they are safe but we appreciate you want to attract new segments but please, keep it real or you will lose existing segments and not attract new ones. Implementation of any creative campaign should take into account the fact that consumers are no longer impressed with well executed, high quality, brand driven commercials. Because they don’t believe what they read anymore. In Malaysia 86% of participants in a survey said they no longer believe what they read in advertisements. 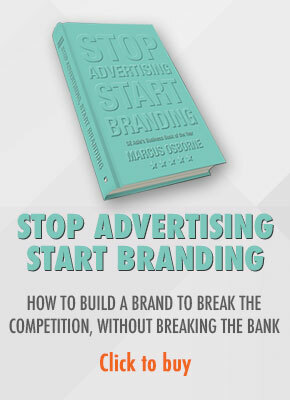 A brand can no longer rely simply on ads to sell products. 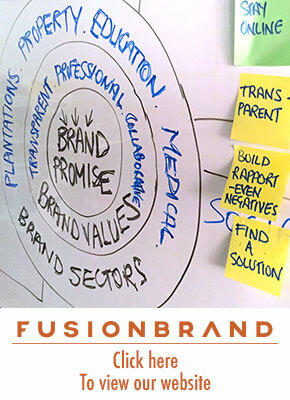 An integrated brand strategy is crucial to successful branding. With a recession coming, Volvo needs to get it right and get it right soon. By the way, whilst Volvo is trying to tell us the Volvo is actually a beast and that a Volvo is wicked, Volkswagen is pushing it’s park assist in Europe. Have a look at this enjoyable <a href="
Volkswagen – Tiguan – Park Assist II (ENG) from AlmapBBDO Internet on Vimeo. ” target=”_blank”>video made for iPad. I disagree with the falling sales comment; Volvo has recently released a Growth in Sales in all regions http://www.swedespeed.com/artman2/publish/Volvo_News/Volvo_2011_-_Great_achievements_and_more_to_come.html which you can find from other sources as well. Their advertisements in Malaysia may have been weak , but I would put the blame on the regional sales departments on the poor execution of adverts rather than the entire corporation as a whole. Thanks for taking the time to read my blog and to comment on this article. Whilst Volvo sales have gone up in Malaysia (and I state this in my post) over the last couple of years, they have barely crept above the levels of 1999 and are way below the targets set by the management and this is despite spending a huge amount of money on advertising. Furthermore, other brands such as VW and Mazda who have poor reputations in Malaysia, especially in after sales have seen their market share grow dramatically, despite spending far less on advertising. I also agree with you that Volvo has a major problem with sales (as do most automotive companies) and are not investing enough in their sales departments and I make this point in my post. I’m also trying to make the point that too many companies invest far too much in creative campaigns and not enough in the organizational improvements required to build a successful brand. Yes ,too many companies invest too much in creative campaigns which tends to affect the organisational improvements required for a successful brand. It looks like Volvo needs to really target their marketing and perhaps try different sources of marketing such as social or viral media.